It’s funny because here we are talking about listening and four out of six people around me are wearing headphones, curating their own sound environment and blocking out others. Those parties where everyone dances and listens to the same music on wireless headphones is the closest to being “in it,” together. Plus, none of the neighbors call the cops. 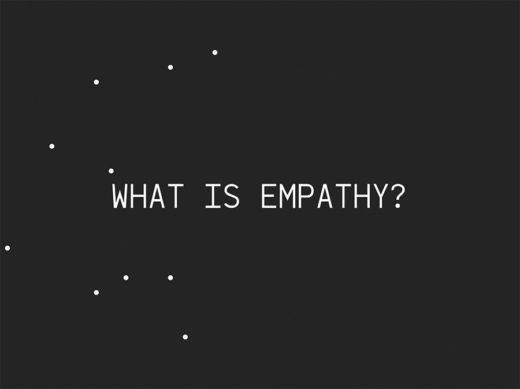 Empathy is a term that appears in theories of the psychology of art, according to which visual art can make the general public experience emotions. Following this school of thought, art appreciation is not a matter of reason but of feeling. This was the late 19th century. How can an art object, when experienced in the 21st century, cause a form of empathy that goes beyond mirroring of individual emotion, and that reckons with difference and the difficulty of bridging? Is it the task of the exhibition to prompt such connection, to enact rather than illustrate? Is it the responsibility of the viewer, to listen rather than to project? The thirty artworks in this show carry at least one thing in common: they were all sent out as messages, aesthetic communiqués, in hope of a response. Unlike messages in a bottle or a record shipped into space, these communications knew their ultimate destination and listeners—and so they could be tailored accordingly. The jurying and selection process operated in inverse: the receivers of these messages, those who cared for them, did not know. So they had to speculate on their sources —inventing and ascribing complex motivations, ambitions, needs, desires, intentions for those invisible yet audible senders. dos episode 3: What are we Building Down There?